The South Korean government vowed Thursday to toughen regulations against leaks of the nation’s key technologies, including artificial intelligence, chips and panels, amid growing concerns that Korea may lose industrial competitiveness to rivals without the proper protection of its core technologies. During a Thursday meeting presided by Prime Minister Lee Nak-yon, the government released a set of measures to prevent leaks of the nations’ industrial technologies. The key aspect of the measures involves obligating companies with the nation’s core technologies to seek approval from the government when they are acquired by foreign companies -- regardless of the government’s financial involvement in the technologies’ development. Currently, only companies whose key technologies were developed on the back of government subsidies are required to report to the government when they are acquired by foreign companies. The Ministry of Trade, Industry and Energy also said it would adopt punitive damage measures so that anyone who leaks the nation’s key technologies or confidential business information will have to compensate the damages -- up to three times the actual damage. All economic gains would also be forfeited. A person held responsible for leaking the nation’s key technologies would also be sentenced to at least three years in prison. Currently, such a conviction does not come with a minimum prison sentence. The stronger measure comes amid growing concerns that Korea may lose industrial competitiveness to its rivals, mainly China, if its core technologies are not protected. There were around 150 attempts to leak industrial technologies overseas in the past five years, according to the Industry Committee under the National Assembly. 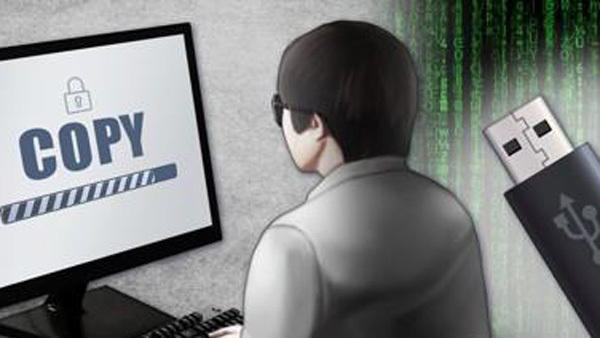 Damage inflicted on Korean industry from the leaks is estimated to be around 50 trillion won ($44.3 billion) on an annual average, according to the National Intelligence Service. Most recently, executives of Samsung Display’s local supplier Toptec were indicted by prosecutors in November for allegedly attempting to sell the tech giant’s organic light-emitting diode edge panel technologies to Chinese firms, including BOE. From the leaks, Samsung estimated a sales loss of 6.5 trillion won over the next three years, as the Chinese firms will be ready to establish assembly lines at the same level as the Korean firm. In 2009, researchers for SsangYong Motor were indicted for allegedly leaking the automaker’s hybrid control unit technologies to Chinese carmaker SAIC Motor. The technology had been designated as one of the nation’s key technologies two years earlier, as it was developed for hybrid cars on the back of national research funds of 5.6 billion won. SAIC Motor was the largest shareholder of SsangYong from 2004 to 2009 and later sold the autos firm to Indian car manufacturer Mahindra & Mahindra. The Industry Ministry said new technologies, including artificial intelligence and new materials, will also be added to 12 technologies currently designated as the nation’s core technologies. They are information communication, automobiles, chips, shipbuilding, steel, machinery, nuclear energy, space, biotechnology, robots, displays and electronics. “Technology protection is a key factor to retain our competitiveness as much as technology development. We will make best efforts to protect the technologies and continue to find new measures by collecting opinions from industries,” said Cheong Seung-il, vice minister of trade, industry and energy.